Five years after one of the worst mass kidnappings in recent history, over one hundred Nigerian schoolgirls abducted by Islamic militants remain missing. On April 14th, 2014, about 230 girls from Chibok Girls’ Secondary School in NE Nigeria were rounded up at night by men in army dress and driven off on trucks into the darkness. In the immediate aftermath, 47 of them escaped; some jumped off the trucks, others managed to get away within a few days. Thirty months on, the Islamist terrorist group Boko Haram freed 21 of the Chibok girls (Oct 2016), then 82 more in May 2017. 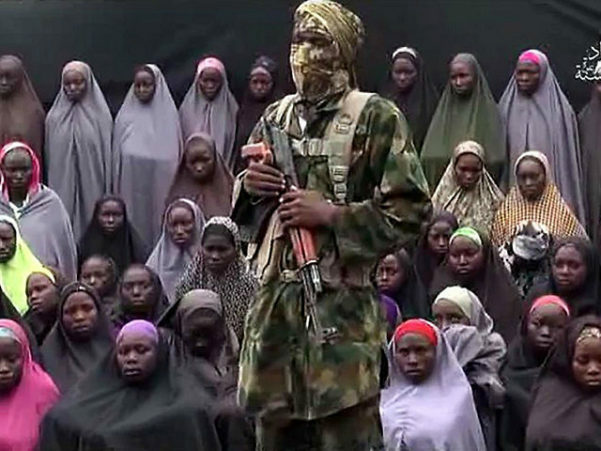 Half of them -112 – have yet to be freed, says the Chairman of the Chibok Parents’ Association. Meantime at least a dozen of the Chibok parents have died, either themselves killed by Boko Haram, or by stress-related illness.